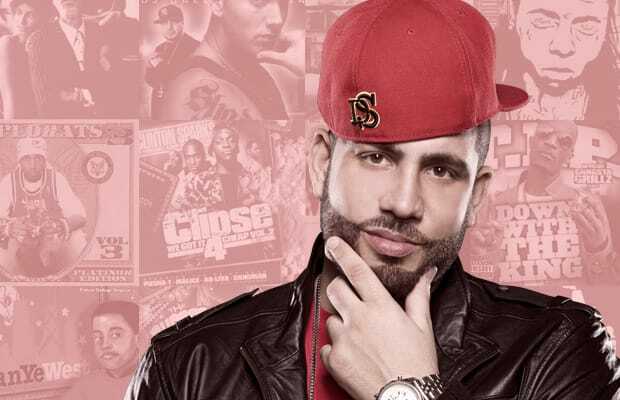 Today, DJ Drama drops his third album, the appropriately titled Third Power. The Atlanta-based mixmaster has demonstrated his power time and again, breaking artists like Young Jeezy and Gucci Mane as he built Gangsta Grillz into the most powerful mixtape brand in the game today. While it's always an accomplishment when a DJ becomes established enough to drop his own album, when we think of Drama we think of his classic mixtapes he put out in collaboration with the likes of T.I., Lil Wayne, and Fabolous (to name a few). So we got on the horn with Mr. Thanksgiving himself and had him run down his 25 Favorite Mixtapes. Although he didn't want to rank them—no offense to his political connects—Drama's picks offer a unique insight into the history and development of the mixtape genre. He even reveals which of his own releases he counts as his "threepeat," which DJ he considers the most creative, and which artist changed the mixtape game forever. [Lil Jon screams] GANGSTA GRI-ZILLZ!